There comes a time in the life of every hot water heater when it no longer has the energy or the physical vitality it used to in its youth. Here are a few reasons you should say “RIP” to your old hot water heater and trade it in for a newer, younger model. Everyone knows the story: You’re five minutes into a seemingly great, warm shower, and you throw some shampoo in your hair. But right as you begin your daily shampoo scalp massage, you sense that the water is growing colder and colder by the second. A deep panic sets over you—at this point, you know this shower isn’t going to end well. There are three outcomes: you can leave the shower warm, clean, or not covered in shampoo. You can only pick two of the three. Do you really want to deal with this situation for the rest of your life, or would rather bask in the glory of a steaming-hot shower that’s as long as you could possibly want it to be? The choice is clear: you need a professional installation of a new hot water heater. An old, dainty hot water heater doesn’t just torture you while you’re in the shower—it can torture your wallet as well. Old hot water heaters can be 15 percent less efficient than newer Energy Star models, and they’re more prone to interior damage, leaks, and in some extreme cases, explosions. Although a new hot water heater is a costly investment up front, the savings on your energy bill will pay for the new heater in no time. There’s nothing more irritating than waking up in the night to the constant slapping and banging of of an old, dying hot water heater. What’s with all the ruckus, you ask? When sediment and minerals build up in your hot water heater, they sink to the bottom, sealing tiny air bubbles between pockets of sedimentary particles. But once those air bubbles free themselves from the sediment, a loud banging or popping noise occurs. While this sedimentary buildup can be drained from your tank annually, popping air bubbles will cause damage to the tank’s protective inner lining, making your hot water heater inefficient and prone to overheating. 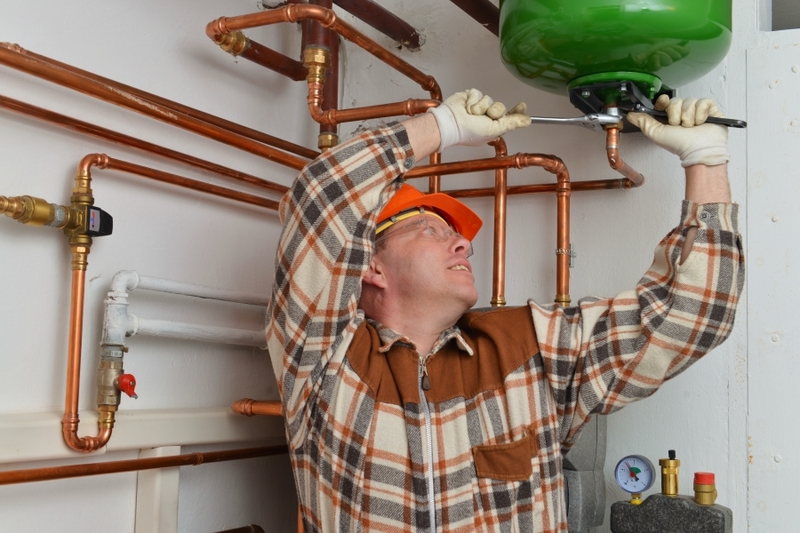 If you’ve spent years tossing and turning over the noises of your hot water heater, it’s probably time bring in a professional to replace it. That’s where Ace Hi can help. Our expert water heater installation professionals can lay your old hot water to rest, and bring in a heater that saves you money on your energy bills and makes your showers hotter and longer than ever. Contact us today to schedule an appointment!